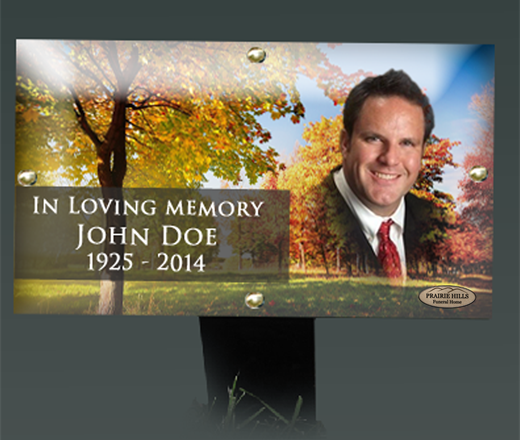 Our goal is to provide you and your family with the most meaningful and personalized service possible, right down to the design of our temporary grave markers. Our markers are elegant and completely customizable. We design each one with our client families in mind, and each is unique to the individual. This service comes standard to our families. These markers are also available for purchase to anyone who is in need. Sometimes older temporary markers are damaged or become faded over time. Our markers are designed to be fade and weather resistant. Custom markers are available for $25.00 plus applicable tax. Simply bring in a photo or two of your loved one, and we can generally create your marker the same day.